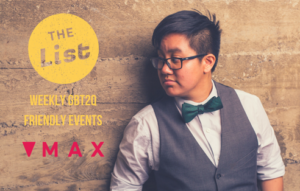 “The List!” is MAX Ottawa’s weekly social calendar for GBT2Q guys to find a variety of events in the capital region. Check back every Wednesday for updates! Tickets available now! Meet and Greet and pay what you can available. HUMP – Wednesdays at Mercury Lounge is here for you every Wednesday night for local drag talent in a fun and welcoming space at Mercury Lounge! Self-care Wednesdays / Mercredis pour soi happens every Wednesday, until April 24, 2019. Hosted by Centre de la fierté – Pride Centre. If you’re in need of a positive space to de-stress and make new friends, head on over! Where My Girls At, Womxn & Songs 90’s is 10:30 PM – 2:30 AM at Babylon Nightclub with DJ JUICE (Ottawa/Montreal). 19+, check door for cover prices. 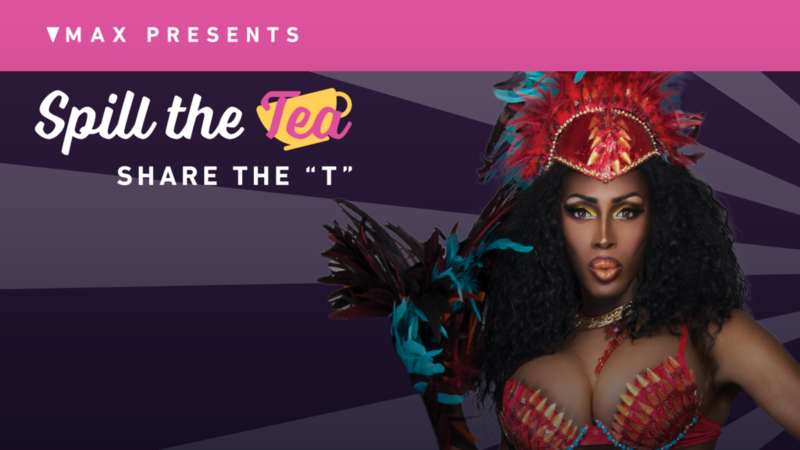 Make sure to get tickets to DRAG DINNER @ The Vanitea Room, A Tea Salon & Eatery! With performances by Devona Coe & Featured Queens, seats go quickly for this always fun time! Karaoke with the one and only Fabulous China Doll (9 pm to 2 am), every Saturday night at the Shanghai Restaurant!! Project Unicorn, hosted by John “Coach” Yetman, is cancelled. It returns next Sunday, April 28th. Join Swizzle’s Bar every Sunday night starting at 7:30 pm for Yard Sale Bingo! The first card is free! Additional cards are $5 for 3, or $2 for 1! T’s Pub hosts Sunday brunch from 11 am-2pm, Bear Coffee from 3-5 pm, then karaoke from 8 pm to midnight! Ottawa Senior Pride Network host a bi-monthly seniors’ bowling group at West Park Bowling. Every 2nd & 4th Monday of each month. Starting at 6:30 p.m. for $3.50 per game! Free bowling shoes if needed. For more information, call George at 613-263-0609 or georgeis@rogers.com. Swizzles Comedy Night!, hosted by Swizzles Bar and Grill, is every Monday! Join them for an XMAS Eve Edition. Head there this Monday starting at 8 pm. Karaoke & Cocktails, hosted by The 27 Club Ottawa and Dog & Pony Sound happens every Monday starting at 9:30 PM. Fatherhood with Mike Reynolds, Hosted by Jan Van Heuzen is 7 PM – 10 PM at Shanghai Restaurant. This workshop is free and features a conversation around being a constructive father, but reserving your spot is encouraged: jan@masculinity.info. The workshop is for male-identified folks. Hygge Homesharing Launch Party! Takes place 6 PM – 8 PM, CJ Blake and others will highlight the Hygge Homesharing Association is the ONLY current local homesharing program, and will begin acceptance of applications to our pilot program for the 2SLGBTQ community. Enjoy snacks, speeches, and smiles as we come together as a community. Gay Zone Gaie, Ottawa’s guy into guy friendly sexual health clinic returns. 5:30-8:00 pm at Centretown Health Center. MAX Ottawa would like to acknowledge that our organization operates on unceded and unsurrendered Algonquin Territory. Something we missed or want to add? Email r.alsberry@maxottawa.ca to make sure your GBT2Q+ guy friendly event is added. For more information and events, visit MAX’s event or Facebook page.